Pirate School is the only place in the world where crews of future buccaneers are trained. But the Sea Pups, five freshmen from first grade, are most of all expert in messing things up! Every mission to search for sunken treasures or to board rich galleons ends up in disaster, and the five wannabe pirates constantly risk being wrecked or expelled from the school! At the end of each book there is an 8-page insert with facts and curiosities on the world of pirates. 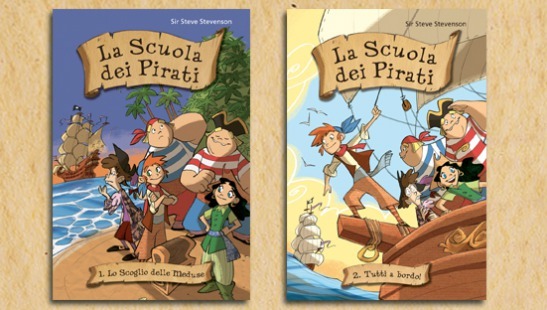 This series sold more than 100.000 copies in Italy.